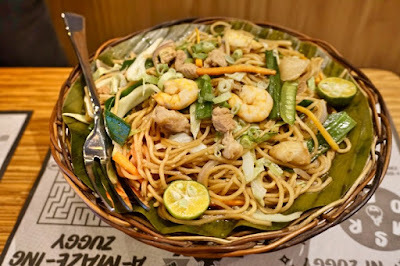 Boy Zugba started in Cagayan de Oro (CDO) City and they are putting the City of Golden Friendship front and center with dishes like Sinuglaw de Cagayan which uses Tabon-Tabon, Pansit sa Pulis, Fishball sa Corrales, and Kiping Dala Latik. 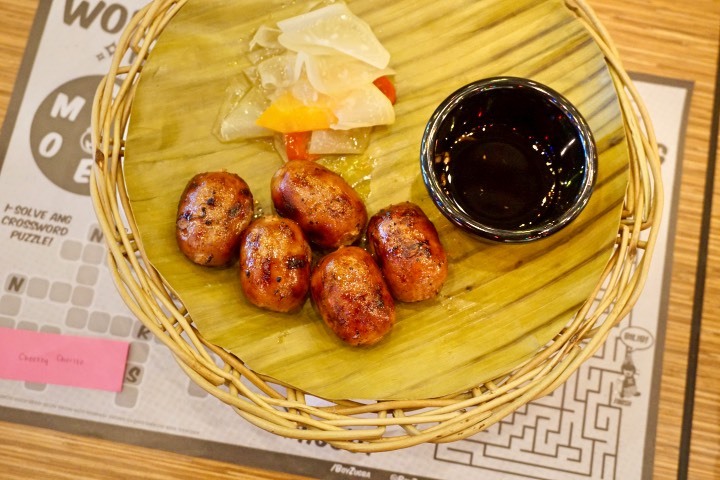 A lot of the menu items have funny Visayan names that would appeal to the Bisdaks. 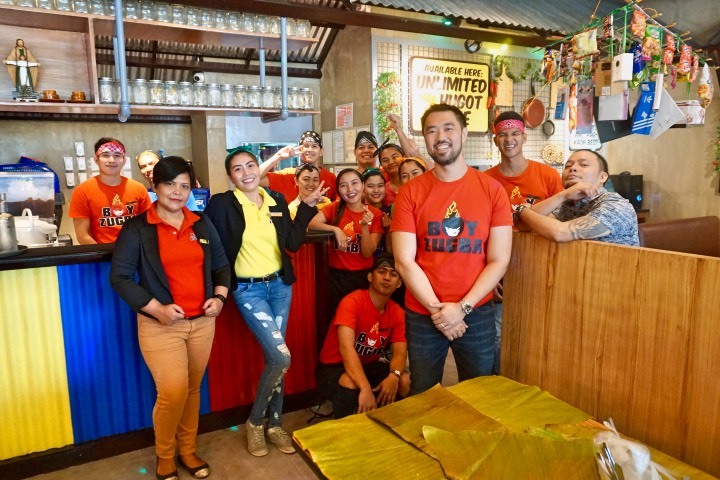 Visayan humor is present not only on their menu but also on how they decorate their restaurants. 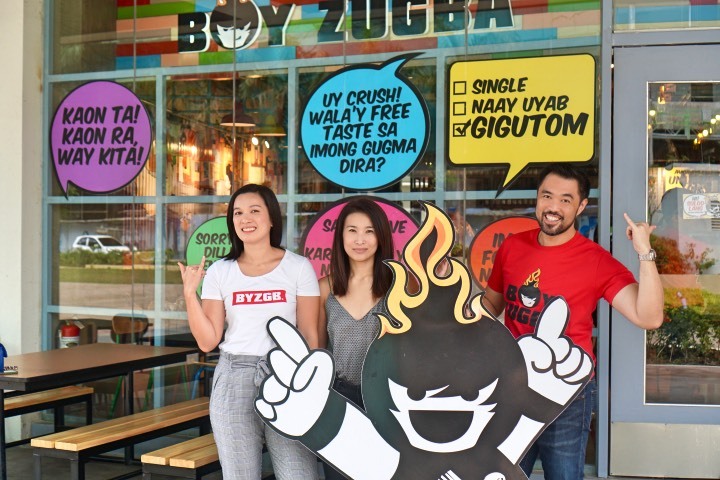 Boy Zugba's walls are filled with hugot lines that can probably compete with Medyo Maldito. If you are a big fan of Bisaya food and hugot lines, it's a no-brainer that you have to visit and eat at Boy Zugba. 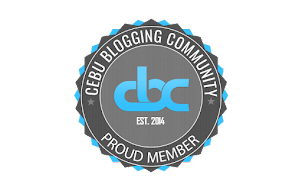 Today April 3, 2018, marks the 120th anniversary of the Battle of Tres de Abril where Leon Kilat's group captured Cebu City for a couple of days. 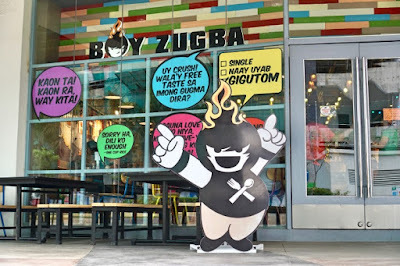 Well, today also marks the opening of Boy Zugba's first branch in the Visayas at the Central Bloc in Cebu IT Park. 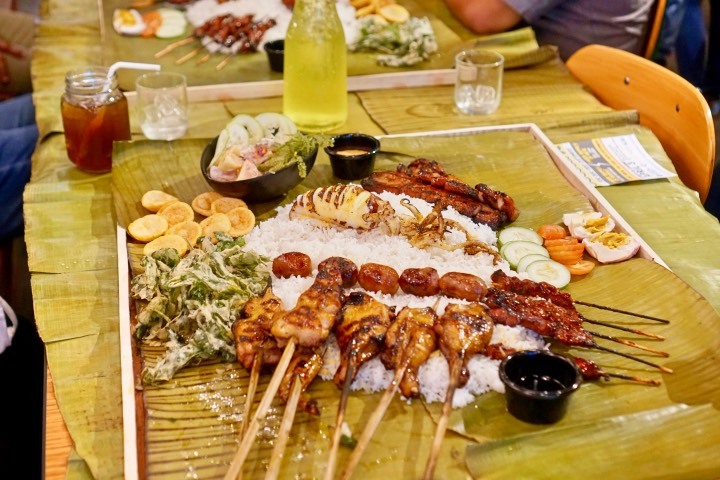 Cebuanos can now enjoy their specialties as well as their solo and boodle meals. As an opening promo, Boy Zugba will be rewarding their first 100 customers in Cebu. If you are the first ever Boy Zugba Cebu diner, you will win a month's worth of boodle feast worth 6,000 pesos. 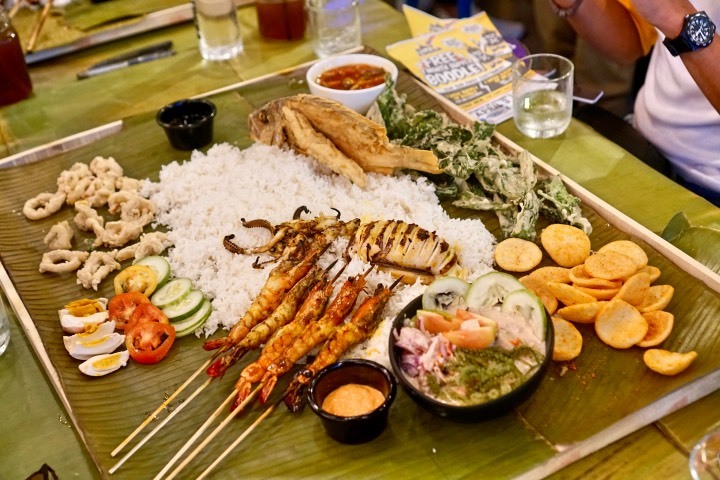 The 2nd customer will get a week's worth of boodle feast worth 3,000 pesos. The 3rd to 22nd customers will get a week supply of Bagetz meal while the 23rd-100th customer will get a FREE Bagetz meal. 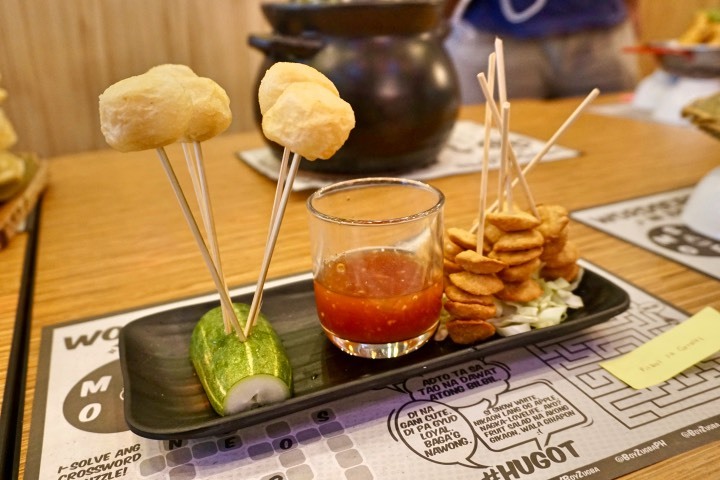 So line-up early and win more food! I got to preview their boodle meals: I Sea Food, Meat Me at Da Sea, and Karne-Vorous and easily found several favorites. The Cheezy Chorizo and Sinuglaw were awesome. The different sinugba items were also very good and if I were a vegetarian, I could spend the whole day eating just their Crispy Kangkong. What if you are alone? Do not worry because they also have solo meals called Bagetz meals that can be upgraded to unli-rice for big rice eaters like Jomie Hospital. When I go back here, I would probably get an order of their Cheezy Chorizo to go along with my Bagetz meal. For sweets, I highly recommend the Kiping dala Latik. 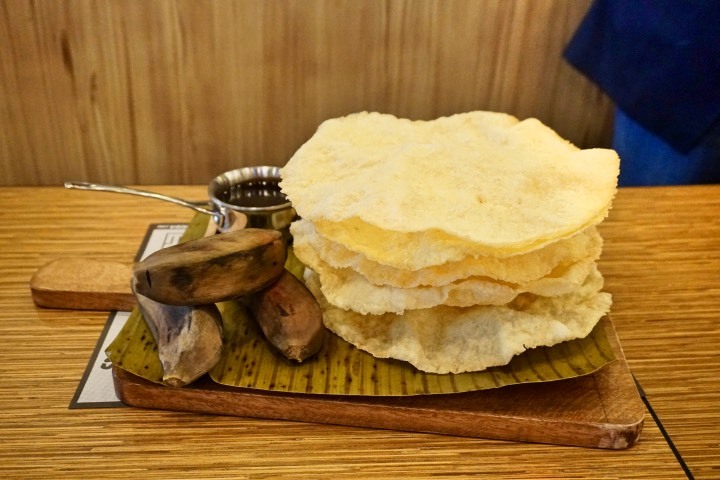 Kiping also known as Cab-cab, which is made of cassava that is made into thin wafers then drizzled with latik (caramelized coconut cream). 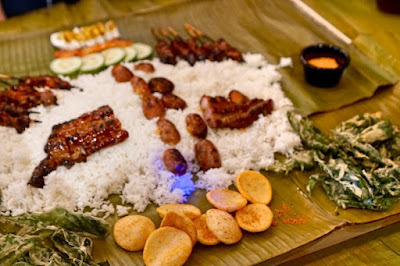 It is a magnificent meal ender that reminds me a lot of my childhood summers spent in Bohol. 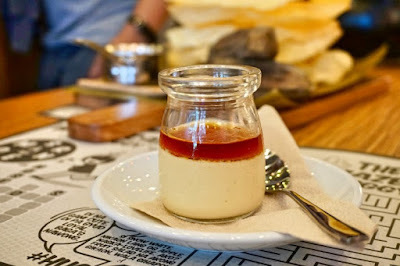 Another good one is their What's your Plan, Leche Flan? 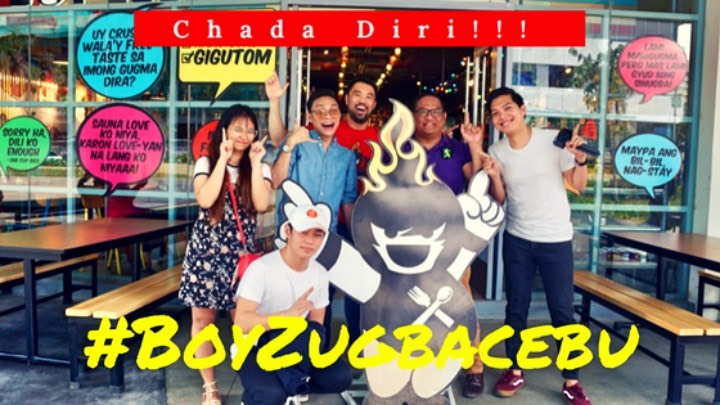 I had an absolutely fantastic time at #BoyZugbaCebu. They serve the food that I love to eat every day. The type of food that you will never grow tired of eating. I will definitely come back there soon to try out the dishes that I was not able to taste. I really like that they are promoting local food and I believe that they are doing a good job. The service crew was fun and jolly. 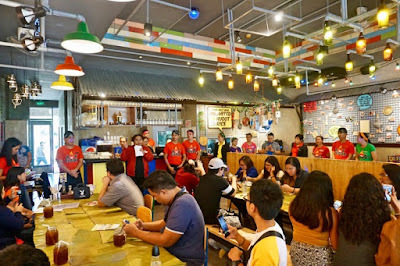 They even gamely danced the "Bodots" in front of the media and bloggers. 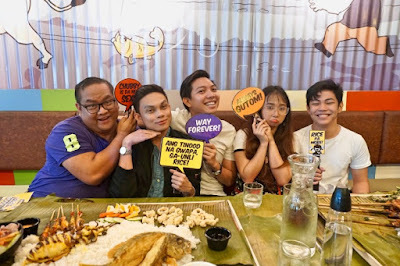 The place looks Instagram-worthy and I enjoyed reading the hugot lines on the walls. All-in-all this restaurant has all the check marks for a great Filipino restaurant. 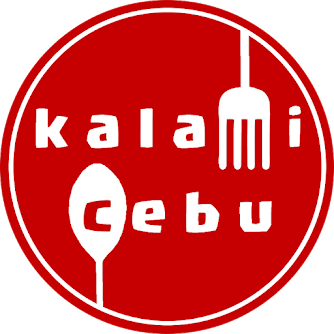 Parking can be an issue though, but I think there are so many Cebuanos like me who is willing to walk for good food. If you are hungry already then go to Boy Zugba at the Central Bloc of Cebu IT Park. 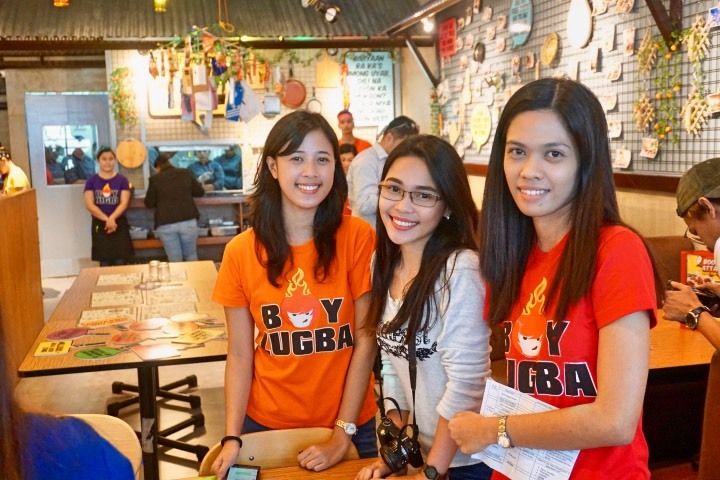 Magbuwag Ta Kay to be shown Nationwide on March 7! Cebu City Marriott Hotel to Close in January, Set to Open in 2018 Carrying the Seda Brand - Why Cebu? 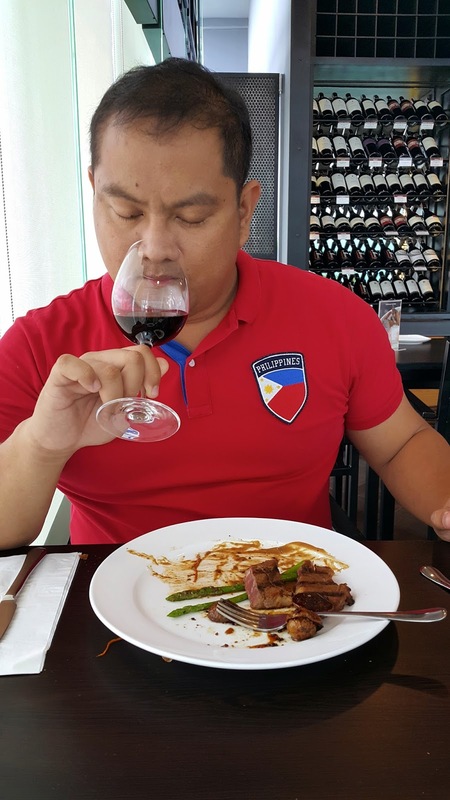 Cebu Landmasters ends 2017 with record P4.58-B reservation sales, plans 20 new developments in 2018 - Why Cebu?